Last week, special events were held at the UN in New York and at the Israeli Knesset to commemorate the exodus of 856,000 Jewish refugees. On November 30, the Israeli Mission to the UN held an event to honor the untold stories of some 850,000 Jewish refugees who were forced to flee their native Muslim countries following the creation of the State of Israel in 1948. This annual commemoration could become a key to resuming peace talks with the Palestinians, if it is utilized to resolve the refugee issue – Palestinian and Jewish refugees – once and for all and remove it from the agenda, where it has been another obstacle to overcome. This is not going to be easy. 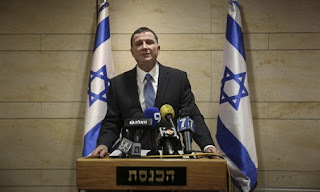 While there have been several legislative gains on the issue, both in the US and Israel, the Palestinian propaganda juggernaut has persuaded world public opinion that the term “refugee” is synonymous with the term “Palestinian.” A massive counter effort is required, not by the usual perpetrators of the unfortunately named “public diplomacy,” but by public relations professionals. The Palestinian Nakba narrative must be seen in direct parallel to the Jewish Nakba. The basic facts of the history of this conflict must become known so that the world recognizes that two peoples suffered and were uprooted. To do less would be to accept wholesale the narrative of unique suffering that the Palestinian national movement has been using as a propaganda weapon for decades. More to the point, the Palestinians have made a growth industry out of refugeeism. The United Nations estimates that, upon the creation of the State of Israel in 1948, 726,000 Palestinians became refugees. In 2012, the number of registered patrilineal descendants of the original “Palestine refugees” was estimated to be 4,950,000, according to UNRWA. No other people in the world are considered fourth-generation refugees. This is one delusion that must be dispelled before this issue can be resolved. Unfortunately, it has become part of a basic package of Palestinian delusions that must also be overcome. The principal one is that we don’t belong here from time immemorial; another would require the Palestinians to accept responsibility for causing the Palestinian and Jewish refugee problems in the first place, and accept UN Resolution 181 that was meant to create the original two-state solution. According to Jews for Justice from Arab Countries, at the same time Palestinians were suffering their Nakba, Arab and Muslim states displaced 856,000 Jewish citizens, in many cases seizing their personal and communal assets. 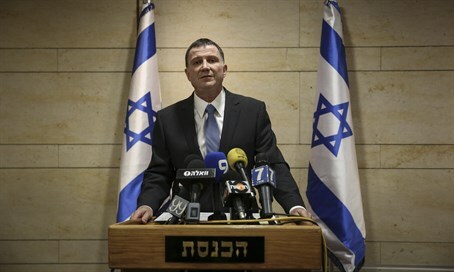 Knesset Speaker Yuli Edelstein said at the start of the session that "despite the subject's great importance in the ongoing debate on the Israeli-Arab conflict, it has usually been pushed to the sidelines, and maybe this is not a coincidence." "In almost every debate on the proper way to settle the dispute between us and the Arab or Palestinian population in Israel, the element of refugees keeps coming up: those Arabs who lives in cities and villages inside Israel in the past, mostly before the War of Independence, and ran away or were driven out." "The Palestinian leadership does not let go of its demand that they be recognized – a demand that has made all negotiation impossible until now, even when governments were in place that made very far-reaching offers. Exaggerated as it may be, this demand is also unjust in that it ignores the other side of the equation – the Jewish refugees who lived in the Arab countries and were driven out of there." On December 1, a special panel dealing with "The untold story of the Middle East: Justice for Jewish Refugees from Arab Countries" was held up at the United Nations. Important as this panel is, is how the UN chose to deal with this issue. This was the third panel held by the UN that commemorates the 856,000 Jewish refugees who were displaced from Arab countries during the 20th century. November 30th was legislated by the Knesset as the day for marking this day only in 2014.